Wherever you are located in the UK, it’s the ideal time to buy a used car from Imperial Car Supermarkets. With excellent, competitive car finance deals available, you could join the thousands of customers who have financed and driven away a great deal with us! To talk to one of our helpful team about our finance deals and rates, call us on 023 8098 9537 today. 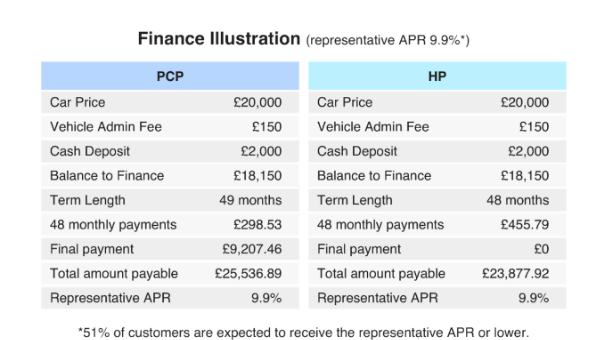 You can also find out more about the different types of car finance from Imperial Car Supermarkets here. Why not take a look at the huge range of top quality, RAC checked used cars available to buy from us today on our website? Each car is shown in real detail, inside and out, with all of the relevant documents you’ll need to make a car buying decision. You can also review the monthly payments for the car you’ve chosen using the finance calculator - simply scroll down the page on each vehicle you’ve selected to find the calculator. Call one of our friendly sales team on 023 8098 9537 if you have any questions at all. Imperial Car Supermarkets - We’re Driven by You - Southampton, Northampton, Portsmouth, Chertsey, Fleet and Swanwick.